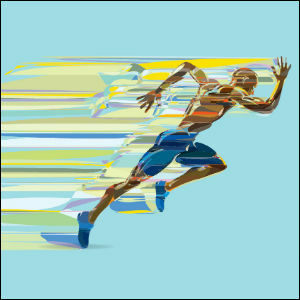 Home / Data Education / Data Articles / Is Data Governance a Marathon or a Sprint? Why compare Data Governance and Data Management with running? Firstly, I am passionate about both topics. Secondly, mindset for both are strikingly similar. Let us understand the link between running and DG/DM. There are two types of runners – marathon runners or sprint runners. While both activities relate to running, there is a significant difference in mindset and body readiness for both these sports. While marathon requires stamina and will to persist in the situation for a relatively long period, sprint running demands a gathering and concentration of one’s bodily energies and mental tactical resources to work together for a limited period. Data Governance, like a 26.1-mile marathon, should be a Program that is geared for sustenance. If it is treated like a project, we end up with siloed efforts creating multiple tools to support multiple business functions. Data Governance is for the entire organization. Upper management should be educated as to the benefits it will provide. Getting stakeholder involvement and gaining their buy-in cannot be simplified as a list of tasks that need to be completed. Once you get your stakeholder buy-in, you are faced with bigger challenges of changing attitudes, behaviors and culture towards data management. One cannot expect to see instantaneous results. A strategy has to be defined to plan out execution with the mindset that the organization will need to consistently work on keeping it alive over a relatively long period. While running a marathon, pacing your runs is extremely important. A rookie mistake is running at a much faster pace than what you trained for and ending up with lack of stamina and energy towards latter half of the marathon. A good pacing strategy is always beneficial while running a marathon. Similarly, Pace of implementation needs to be adjusted and managed based on culture of the organization. A big bang approach to implement Data Governance can be quite destructive considering stakeholders, and SMEs have their regular day jobs as well. Unless you effectively integrate your data governance framework into your organization, any benefits will be short lived. A continuously evolving program is necessary to keep pace with new trends such as big data, cloud solutions, etc. 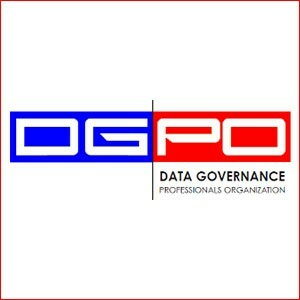 Data Governance policies should be able to keep pace with the fast-changing nature of data sources, storage solutions and analytics tools. 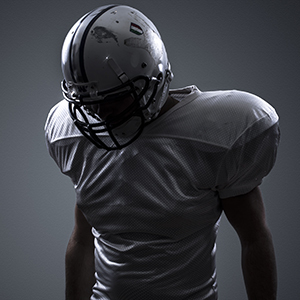 Lack of a good pace strategy can lead to failure of the program. Marathon running is physical and mental stress to your body that increases throughout the event. It is important to manage this stress while sustaining your run for a long period. Psychological resilience is needed to cope with stress and adversity. Capacity to perform at your best regardless of external conditions, distractions or internal emotions is essential to complete a marathon. Similarly, Data Governance requires sustained endurance and resilience to be successful. Data Governance as pointed by Bob Seiner in “Non Invasive Data Governance” book is an evolution and not a revolution. Issues/roadblocks are common during a DG effort. Given that a successful DG/DM effort is long lived, minor stumbles along the way are tolerable. Issues such as siloed efforts, SME/Data Steward bandwidth, lack of stakeholder engagement, lack of awareness of a need for data management program, shadow efforts to fill gaps, etc., are some examples of types of roadblocks that will need to be addressed along the way. It requires the power of enduring difficult process or situation without giving up. It is important to resist, withstand, recover from difficult situations and sustain it actively for a long period. With good preparation and sustained focus and resilience, it is possible to stay the course and address roadblocks along the way. All success stories are usually a product of years of quiet persistence. A sustained persistence approach learning some key enduring lessons along the way will enable a slow and steady to successfully implement the program. It is about the journey, not the destination. Success of a data governance program is not determined by how fast the program was implemented. Desirable outcome is to have a successful implementation of an effective Data Governance program. 5. Do Good Shoes Matter? Both types of running require shoes – running shoes are designed for different type of people, strides, feet and types of running. What may be “perfect” shoe for one may be completely wrong for another. There is no one size fit all model that will apply to running. Similarly, a single tool is not the answer to all Data Governance program needs. Some tools available can help implement, manage and support data governance within the organization. However, they are just tools and not answers by themselves. The key is to experiment to find what works and as the company structure and culture changes, the tools should reflect that change. In summary, focus on endurance and constant progress is key to a successful Data Governance/Data Management program. Slow, sustained and constant movement in the positive direction is what separates a successful DG program from an unsuccessful one. A Data Governance program is successful when data governance related activities are no longer seen as additional work to do, but as a fundamental part of business as usual. Are you ready to stay the course to make it a success? So what mindset do you have? A marathon runner or a sprint runner? Anu Tirupathi is a Principal Enterprise Analyst at Intellectual Ventures. Anu is very passionate about work related to data strategies, data quality and other data management practices. She has spent more than 10 years on this topic and continues to have the thirst to learn more about data. Anu spends her leisure time hiking and spending quality time with her family. Anu can be reached on Linkedin or via email at anuradha.t@gmail.com.